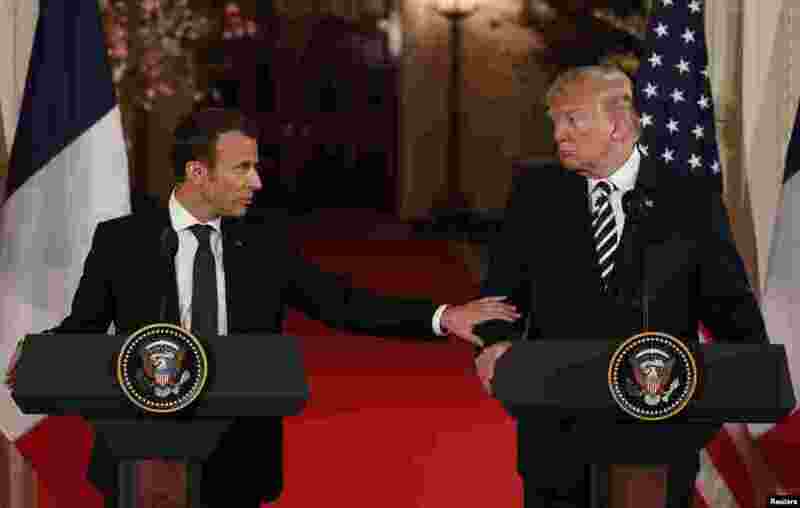 U.S. President Donald Trump welcomed French President Emmanuel Macron to the White House on Monday for a three-day state visit, during which the two leaders have scheduled a mix of official meetings and social events. 1 French President Emmanuel Macron reaches out to U.S. President Donald Trump as he speaks during their joint news conference at the White House in Washington, April 24, 2018. 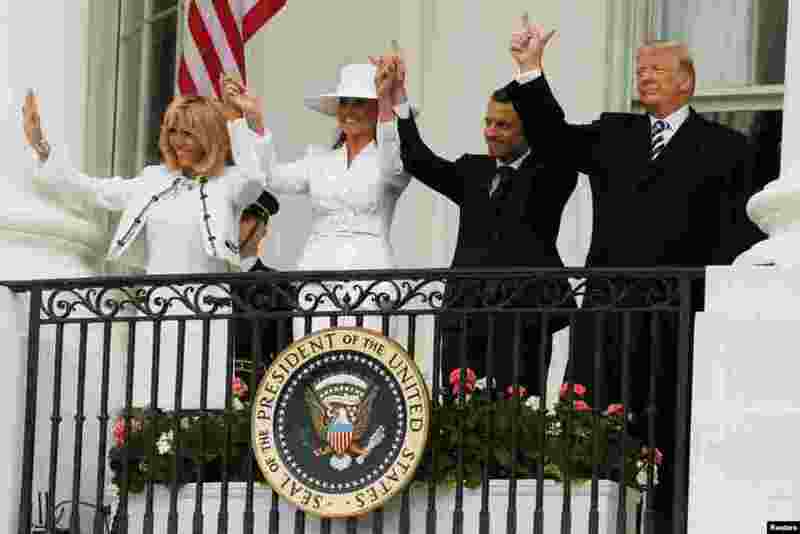 2 U.S. President Donald Trump, first lady Melania Trump and French President Emmanuel Macron and his wife Brigitte Macron gesture during an arrival ceremony at the White House in Washington, Apr. 24, 2018. 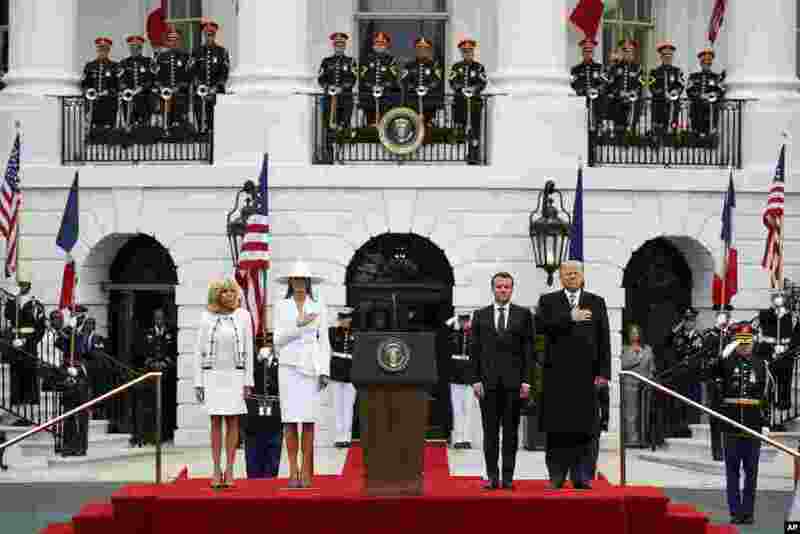 3 President Donald Trump and first lady Melania Trump stand with French President Emmanuel Macron and his wife Brigitte Macron during a State Arrival Ceremony on the South Lawn of the White House, April 24, 2018, in Washington. 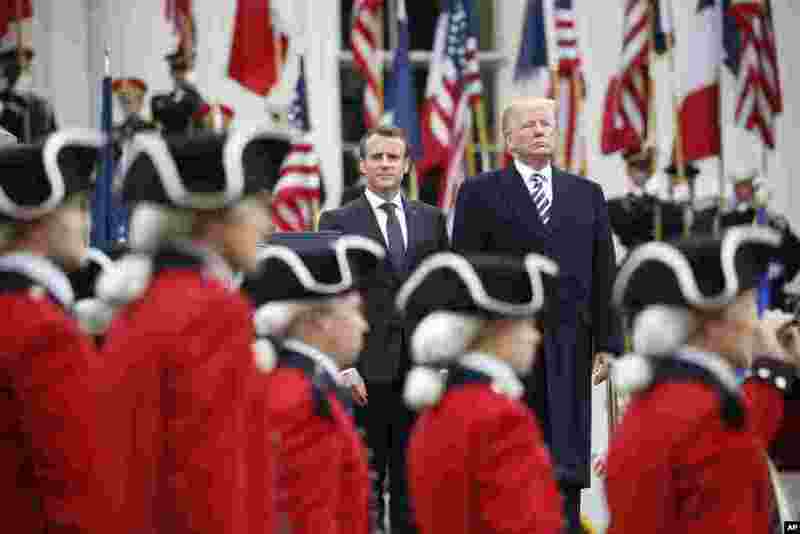 4 President Donald Trump and French President Emmanuel Macron stand during a State Arrival Ceremony on the South Lawn of the White House in Washington, April 24, 2018.